One of the excellent features of the Dance of Shiva is that with just four positions in each pattern it is still possible to create many variations to continue expanding our coordination and focus. The idea of transquarters is to learn to ‘skip’ one of the positions, so that instead of going 1-2-3-4, you can go from 1 to 3, 2 to 4, 3 to 1 and 4 to 2. This can be applied to both the Horizontal and Vertical patterns. When this is simple enough you may explore going faster. In this video you can see an example of the Transquarter pattern applied to the horizontal and the vertical patterns. One of the things you may notice as you practice is that there may be a running commentary in your head. Just try to practice and focus on the sensations and on saying the numbers of the positions as you move. I hope that you enjoy this practice. 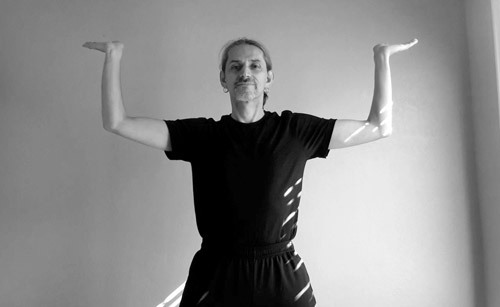 If you like this practice, there is a very complete DVD on the Theory and Practice of the Dance of Shiva by Andrey Lappa on Pranamaya.com. I hope you enjoy this approach to yoga. Embarking on any journey of conscious learning requires clarifying what is it that we are doing, why and how. As a yoga practitioner I am keenly aware of how important it is to be clear on my answers to these questions so that I have good reasons for doing what I am doing and also to make sure that I am doing what I think I am doing. This is even more important to me as a teacher because I want to ensure that I have logical reasons for teaching what I teach. This is one of my major motivation to keep studying, that is, exploring, learning and, most importantly, putting into practice techniques that enhance the quality of my participation in my life. I continually reflect on these ideas to guide my practice, my teaching and my life. This manifesto is one way to communicate this as clearly and concisely as possible. Yoga is Presence. Presence is attending to every unique here and now moment of your life. Being present is a choice that only you can make. As we attempt to be present we start noticing restrictions and inefficiencies that hinder our ability to participate consciously, deliberately and wholeheartedly in our lives. Yoga is one path to grow in our awareness organically. Organically means that we explore our options for thoughts, feelings, movements, breathing and interaction in a gradual and sustainable manner. As we find limitations, obstacles and restrictions we make adjustments to move beyond our current levels of understanding. Slowly our growing awareness results in more harmonious relationships between our body, mind, emotions and breath. We can see our practice as a combination of Self-Awareness, Self-Care and Self-Regulation. As a result, we enhance the quality of our participation in our life and live a vibrant, meaningful and wholehearted existence. In all endeavors it is tempting to keep making things more and more complex. We keep our yoga practice simple. Yoga is one way to know ourselves thoroughly. We start by engaging in self-inquiry. We pay attention to our inner world and to our participation in our life. We notice our tendencies, some helpful, some unhelpful, some conscious, some unconscious. We learn to modulate our propensities so that all our actions contribute to enrich our life. What is the intention for practicing each limb of yoga? Yoga is a complete system to ensure that we show up to our life every day, at every moment. We show up with our mind and heart open. As we notice our tendencies to close our mind and heart, we regulate these tendencies in thought, action, movement, breath and interaction to bring integrity, harmony and grace into all that we do. We cultivate our capacity for kindness and compassion until, eventually, we learn to love life unconditionally. (yamas) This does not mean that we are passive or indifferent. We cultivate our gratitude and inspiration until we live in contentment. (niyamas) This does not mean that we become complacent. How do we practice yoga? We are whole and complete. We are enough. We release strain, struggle and self-judgment. 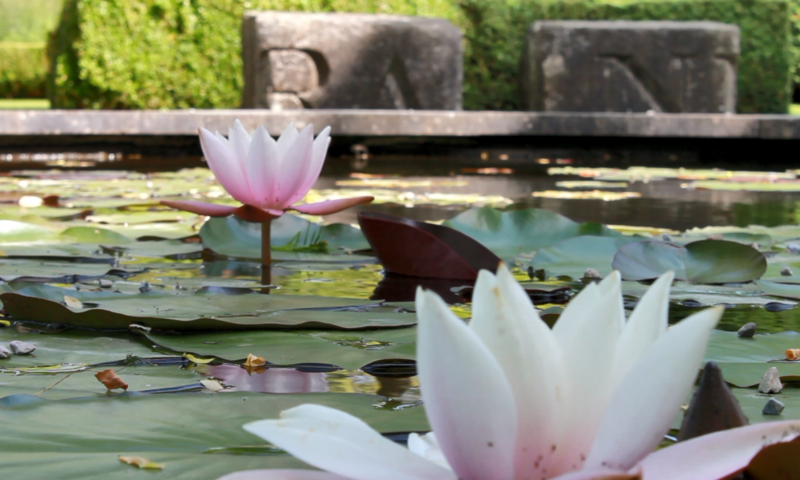 When we move, we move consciously and deliberately. 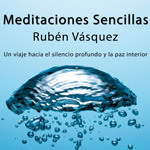 Clarify the foundation of our life, in mind, emotions , body and respiration. When we move, we engage gentle firmness around our joints specially when moving beyond our usual level of mobility. We avoid pinching, forcing or squashing, especially at our joints. We do the best we can without tension or agitation. We are clear on the difference between best and most. We distribute our actions throughout our whole body. What are some potential risks practitioners should be aware of? Any activity, even walking, when done carelessly may increase the risk of injury. How can yoga practitioners avoid injuries? How can practitioners know if their practice is working? 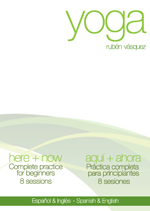 I hope that these ideas contribute to enhance your approach to your personal yoga practice. 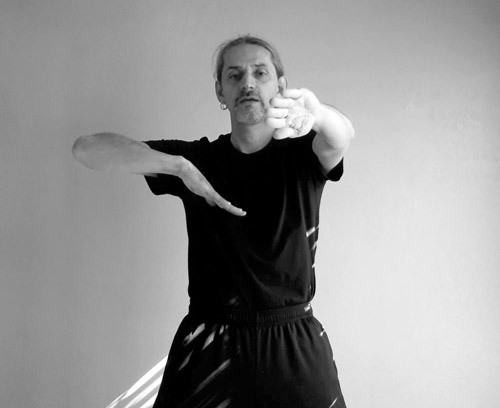 Full range of movement is a conscious and deliberate exploration of healthy movement including very small movements, large movements as well as movements in between. Learning to move intelligently is one way of ensuring that we keep the joints healthy and free from injury. This is a 60 minutes practice including exploration of full range of movement in various joints in the limbs and in your spinal column. 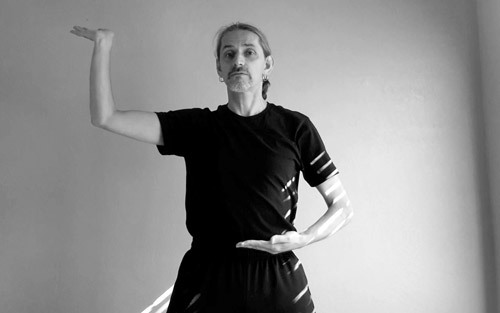 This sequence is also directed to notice relationships between different body structures, arms, legs, shoulder girdle, hip girdle, legs and spine. 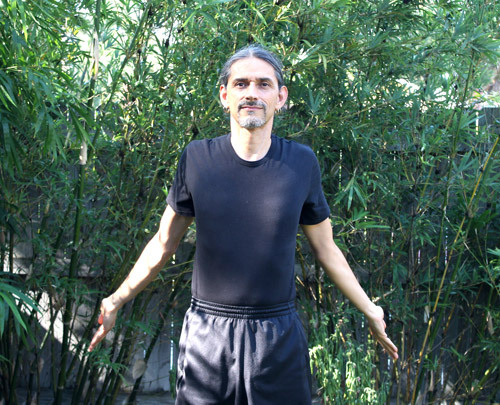 In addition, you will cultivate coordination between movements and integration with breathing. Finally, the sequence guides you through some simple breathing techniques for centering, relaxation and calmness. 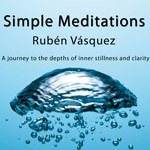 At the end of the practice there is a brief guided meditation to make the practice complete and satisfying. In yoga there is no need to strain, struggle or self-judgment. Try to make the movements fluid and graceful. Make your breath simple and easy. Enjoy the practice with a gentle smile. Noticing the effects during and after the practice can help you ensure that the practice is beneficial for you. If you find the practice beneficial, consider trying to practice a few times each week. Enjoy the practice and its effects. There is often a tendency to think that when we speak of range of motion in the joints we are referring to moving each joint to its maximum. 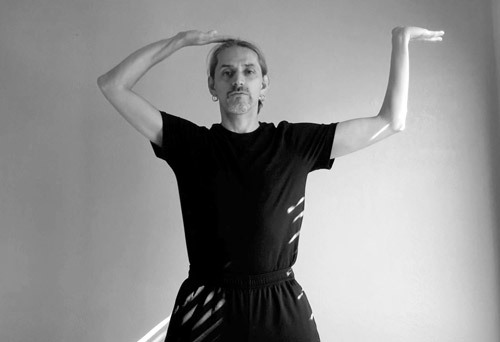 In this sequence of 30 minutes the idea is to explore the different ways in which we can move the joints in our body. 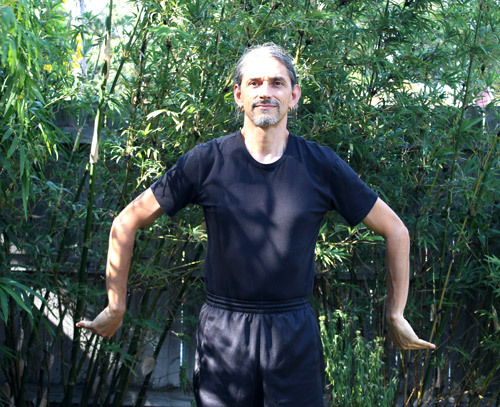 We can also use this practice as a way to observe how the movements in one part of the body are connected with other joints and muscles. Do what you can, no more, no less. Let go of struggle, tension and unnecesary effort. Favor simple and fluid movements. Breathe with soft and easy inhalations and exhalations. Enjoy the practice with a gentle smile. During and after practice feel its effects on your body, mind, emotional state and breathing. What happens when you practice this sequence several times, maybe every two or three days? I hope that you enjoy your practice. I hope you enjoy the practice and that it offers you some benefits. As we continue the process of fine tuning our practice we may notice that doing the usual patterns starts to become easier. 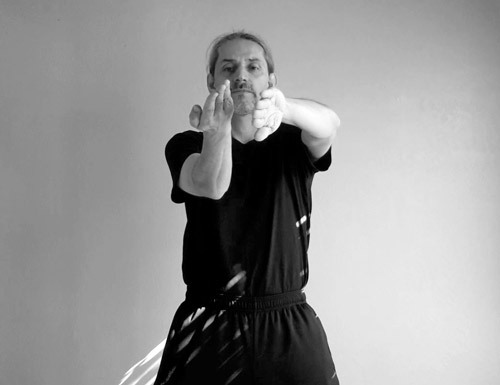 When even combining movement of the legs with the variations of movements for both the horizontal and vertical arm patterns becomes very familiar, it is time to start adding a bit more complexity. How do you know that it has become quite easy for you? 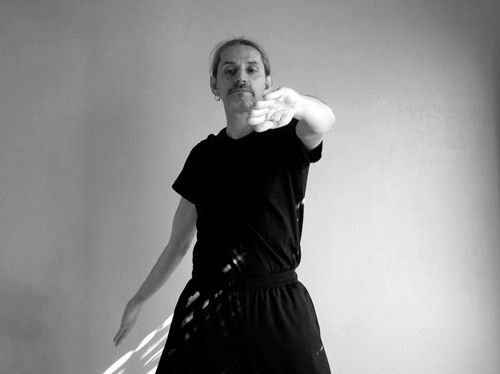 If you find yourself thinking about other times and places, like planning your day while you are practicing, you will benefit from spicing up the practice so that your repertoire of movements, your coordination and focus can expand as well. Learning requires stepping into less familiar territory. This means that we will make ‘mistakes’, we may move the leg to step two instead of three or we may get confused. This is an indication that we are moving beyond our comfort, which is the pre-requisite to learn. Like with learning anything else, it is a journey of discovery, and messing up, is part of the learning process. As we continue trying, we eventually figure out how to get things to move according to the new pattern. Then we can refine our movements and start playing with different speeds. 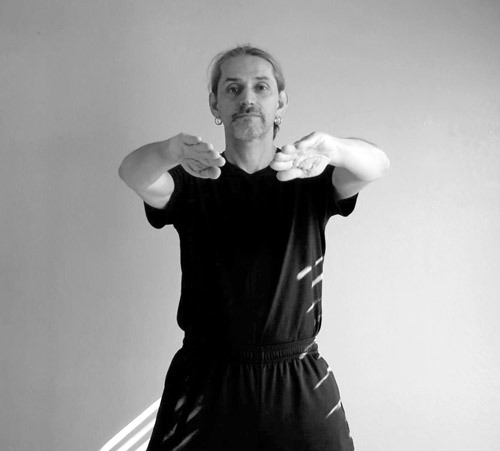 The video below offers one possible pattern for moving the legs, and whole body, in 3D space while we continue using the already familiar horizontal and vertical arm patterns. Of course you can make up other combinations of leg movements. There are four leg actions that can match the four positions of the arms to take you around into a complete 360 degree turn. As you repeat the same leg pattern you have a chance to also modify the arm movements, so in the first turn you can go with arms forward (1-2-3-4), on the second turn you can move your arms backward (1-4-3-2), the third turn you can have one arm moving forward (1-2-3-4) and the other arm moving backward (1-4-3-2) and for the final turn you can reverse the arms. Of course, you can also explore starting with the left leg. In this video you can see an example of playing with the leg pattern that turns you around in 3D space. As you probably know you can create all possible variations to help you stay focused while you expand your coordination. Remember to modulate the internal narration and commentary to a minimum. 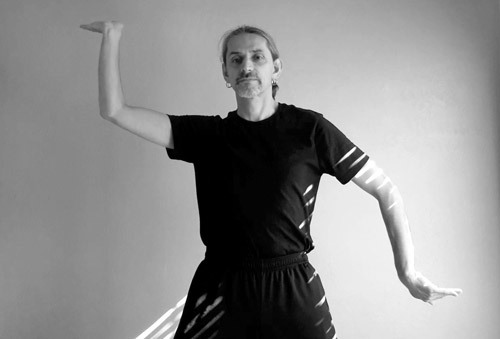 As usual, please remember that there is a very complete DVD on the Theory and Practice of the Dance of Shiva by Andrey Lappa on Pranamaya.com. Like in any other physical yoga practice, make sure that there is no strain, no struggle and no self-judgement. Instead, invest your energy on making your breath smooth and continuous and on having a friendly and relaxed attitude. 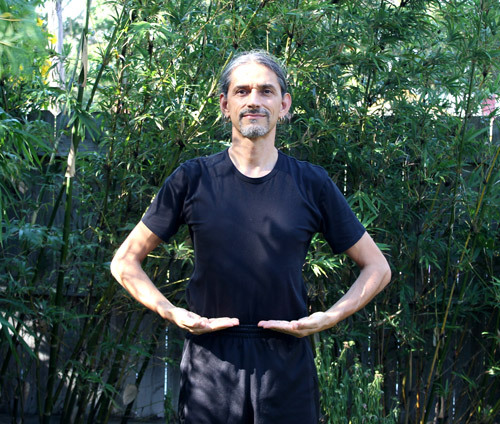 One of the objectives in yoga is to become aware of what we are doing (in posture, movement, feeling, thinking and breathing), to clarify if we are actually doing what we think we are doing and also to notice if what we are doing (in posture, movement, feeling, thinking and breathing) is helpful or not helpful. In the process, we end up learning a lot about ourselves and about our reactions to what we discover. It is likely that we may want to stay in a familiar pattern because it is comfortable and also because it gives us a sense of accomplishment. However, in order to expand our choices and abilities it is necessary to move beyond the familiar patterns. 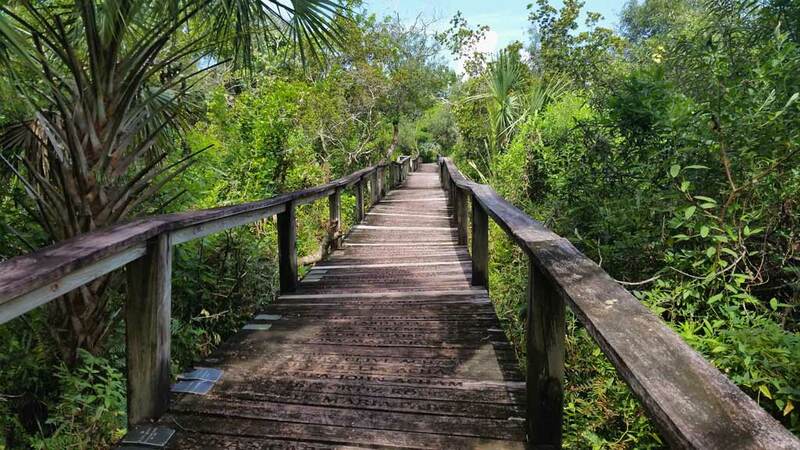 This can create a bit of discomfort as we try to navigate new territory, and that is where we get a chance to forge new paths, new connections and new insights. This is one of the reasons we want to try to move into learning new patterns in the Dance of Shiva. So, if during our practice we notice that we are thinking about other times and places, we are getting a signal that the horizontal and vertical patterns have become familiar enough and that it will be beneficial to explore new territory. For instance, we can try to combine the two patterns by doing one whole pattern first followed by the other pattern. What happens when we try to move at different speeds? As with other practices, staying with the practice may show us some of the habits we may have developed, like an attitude to be unwilling to try something new, or the reluctance to let go of what we have already achieved, or perhaps impatience that emerges when it takes us time to learn something, or maybe even our unwillingness to accept that we are not perfect. Whatever the case, can we try this exploration with gentle curiosity, without struggle and choosing not to judge ourselves? I’ll be glad to know about your experience. Since we know both a horizontal pattern and a vertical pattern we can explore all of these variations of the initial position for both the horizontal (as seen above) and the vertical pattern as seen below. In this video you can follow the combination of movements with all of the modified initial positions. Like any other mindfulness practice, the Dance of Shiva works best when we try to feel clearly what we are doing and when we notice the effects in breath, body and mind. In addition, engage your emotional being by observing the process with little to no self-judgement. Consider practicing these simple patterns with consistency until they seem quite easy and can be done slow or fast. As usual, trust that taking small manageable steps will provide benefits. When the practice gets easy enough that you can do them at different speeds. I hope that you enjoy this exploration. 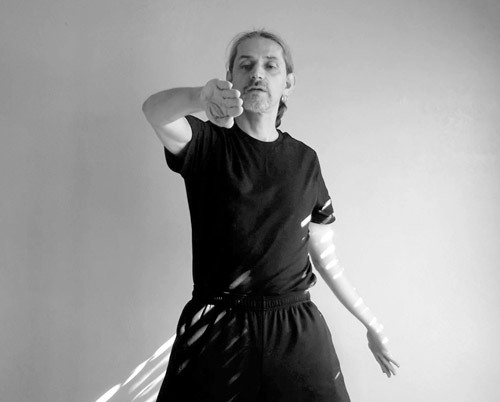 The Dance of Shiva is a form of moving meditation rescued by Ukranian Yoga Teacher Andrey Lappa. 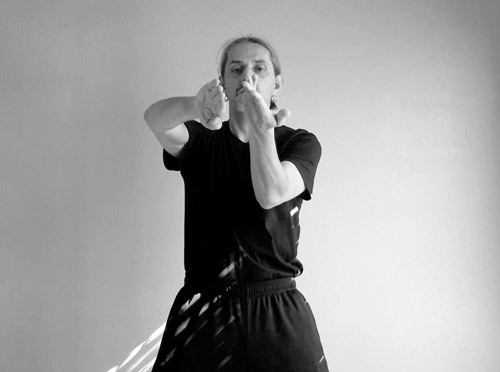 The practice starts with two basic patterns, horizontal and vertical. 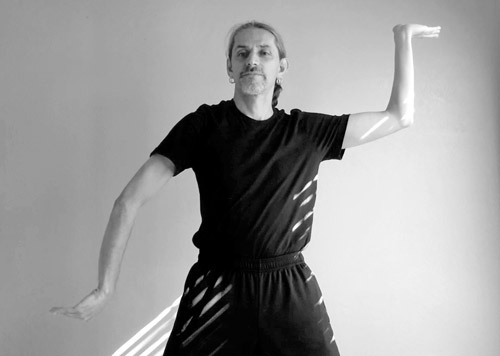 Each pattern consists of 4 simple arm positions. 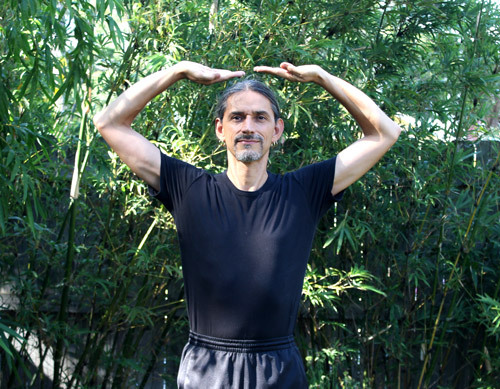 In the Dance of Shiva the practitioner moves the arms between these four basic positions. Throughout all the movements the palms of the hands try to remain facing up as if holding tea cups and trying not to spill. 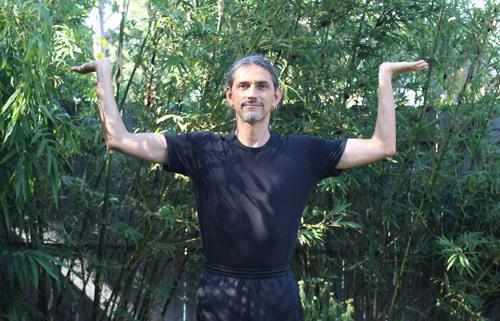 Also, each arm-hand avoids crossing the vertical mid-axis of the body. We start with the simplest pattern, Forward pattern, moving from 1 to 2 to 3 to 4 and then returning to 1. Notice that this creates a horizontal spiraling motion. Just as in learning anything else, we start really slow to clarify all of the movements. 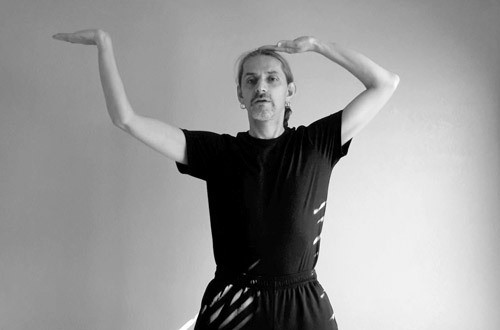 For instance, we can try to ensure that the movements of the arms include harmonious movements of the shoulder blades. Then we can explore a second pattern, Backward pattern, moving from 1 to 4 to 3 to 2 to 1. 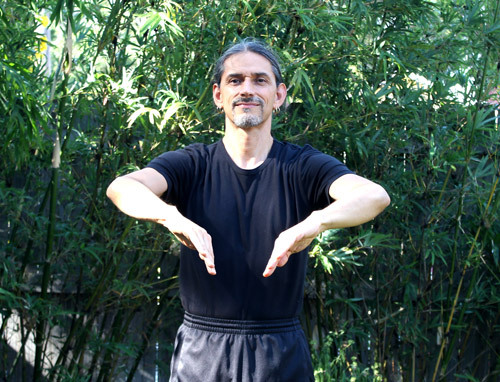 Gradually we can expand to a third pattern where one arm moves in the forward pattern (1-2-3-4) while the other arms moves simultaneously in the backward pattern (4-3-2-1). Notice that this pattern can be done alternating the arms, so that the arm that starts with forward pattern then performs the backward pattern. Throughout all the movements the palms of the hands try to remain facing outward as if pressing against imaginary walls to the sides. 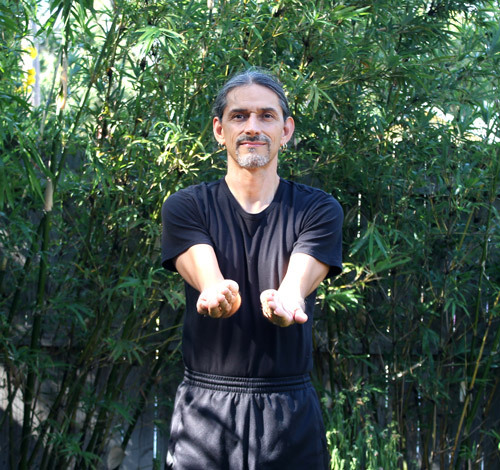 Similar to the horizontal pattern, each arm-hand avoids crossing the vertical mid-axis of the body. Just as we did with the horizontal pattern, we start with the simplest pattern, Forward pattern, moving from 1 to 2 to 3 to 4 and then returning to 1. Notice that this creates a vertical spiraling motion. 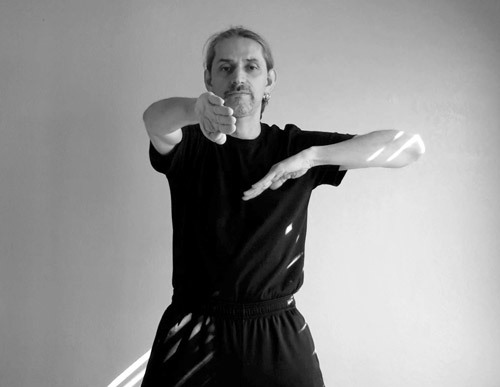 We start with slow movements to clarify the pattern, and just as we did with the horizontal movements we favor movements of the arms that include harmonious movements of the shoulder blades. Then we can explore a second pattern, Backward pattern, moving from 1 to 4 to 3 to 2 to 1. 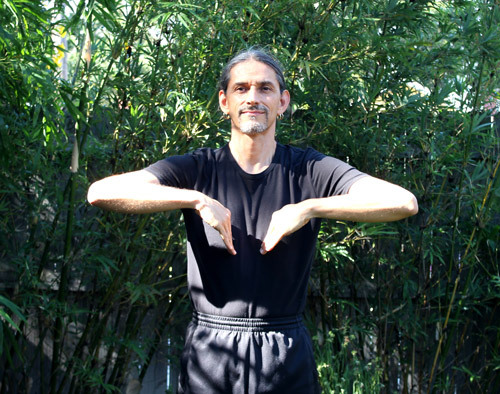 Similar to the horizontal pattern, we can expand to a third pattern where one arm moves in the forward pattern (1-2-3-4) while the other arm moves simultaneously in the backward pattern (4-3-2-1). Here as well the arms can alternate patterns. 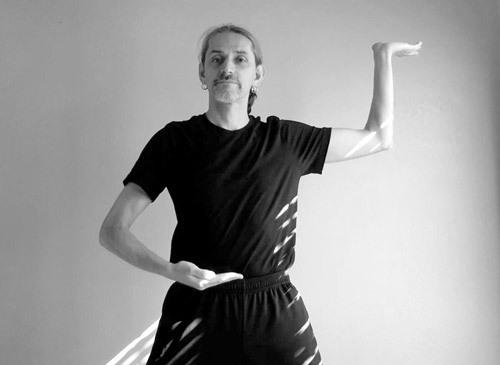 In this video you can see examples of the horizontal y vertical patterns combined in the Forward, Backward and Alternate patterns. You may also see an example of a leg movement pattern. As with any other practice, after the practice take a moment to notice its effects. Sense the effects at the physical level through experiencing the sensations in your body. Also, notice the effects at the mental level, for instance, was the series of movements interesting enough to capture your attention so that you were not thinking about anything else? At the emotional level, were you able to practice without having to judge yourself when you got distracted or confused? Consider practicing these simple patterns with consistency until they seem quite easy and can be done slow or fast. As usual, trust that taking small manageable steps will provide benefits. When the practice gets easy enough that you can do them at different speeds, it may be time to add variations to continue growing. For example, it can be fun to play with combinations of starting points, such as one arm starting at 1 and the other starting at 2 and following the patterns outlined above (both arms forward, backward, alternating). I hope you find this practice enjoyable and that you share any questions and discoveries you make along the way.